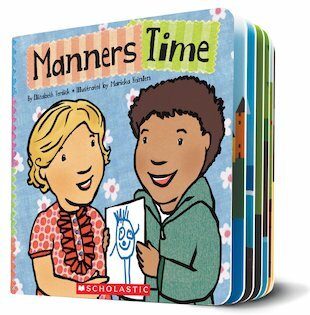 From polite greetings to no-nos, introduce the social graces in a cheerful book that gives toddlers a vital head start in life. Good manners start with a smile, and then you add words. There are polite words to use when you greet someone, ask for something, or (oops!) make a mistake. There’s even a nice way to say no. Showing how well-chosen words and smiles can smooth over any situation, this book helps toddlers and young children to understand the basic rules of manners, setting the stage for social skills that will last a lifetime.